For families that like to spend time on the road or outdoors, a large portable cooler is a must. But which type of cooler is the best for a camping family? A traditional Igloo-style ice cooler is going to be large and will require a lot of ice, which will need to be replaced every day or two - and make it heavy. An electric compressor cooler large enough for a family is also going to be very heavy. 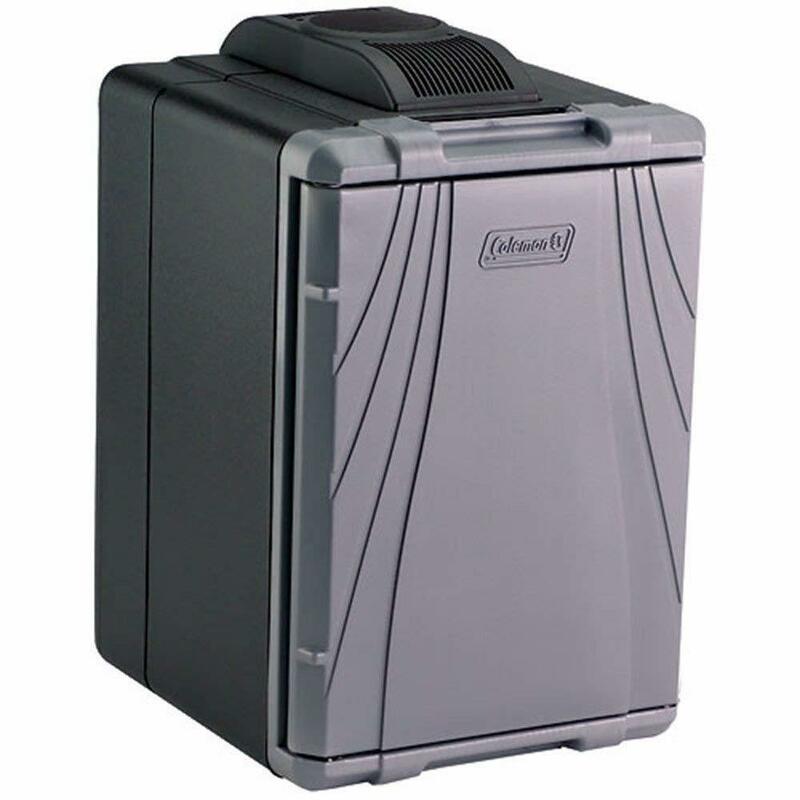 A third, better choice to consider is a large thermoelectric cooler like the 40-quart Coleman PowerChill 12V iceless cooler. Despite having enough space to hold up to 44 12oz cans, it only weighs 18 lbs when empty. Extra features like a shelf divider and carrying handles make it one of the best portable thermoelectric coolers for families and long trips. It’s also a great permanent choice for trucks, boats or RVs. 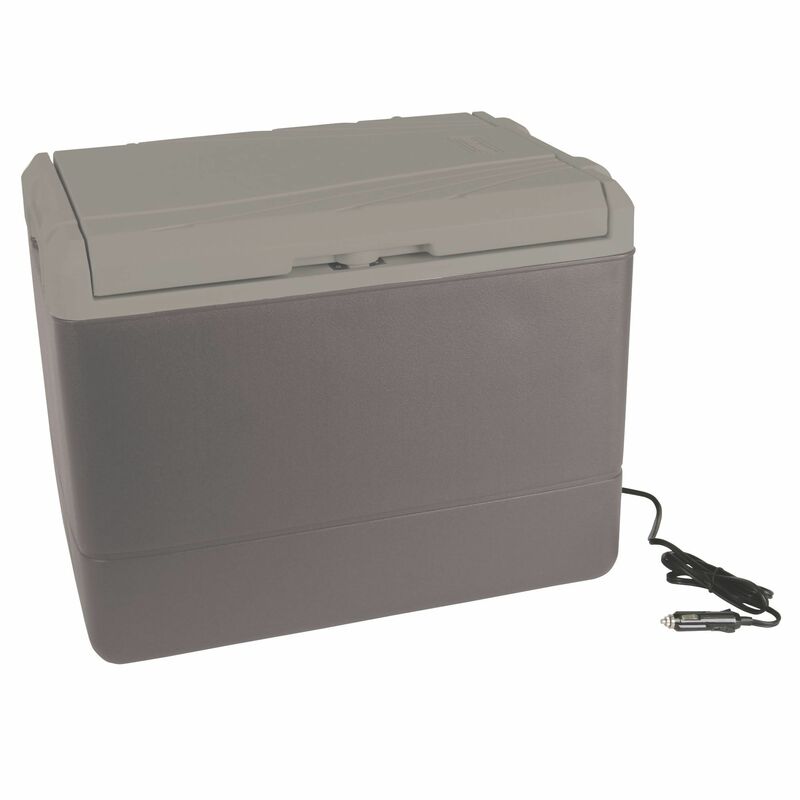 If you are looking or something smaller and more compact, see our top picks for 12V coolers. Fridge, A Freezer or Both? The Coleman PowerChill is just a cooler, not a freezer. Unlike a compressor-based ice cooler (like the refrigerator in your kitchen), the PowerChill's cooling capacity depends on the ambient/surrounding temperature. In most temperatures, the PowerChill will keep your food and drinks chilled just fine - but not frozen. 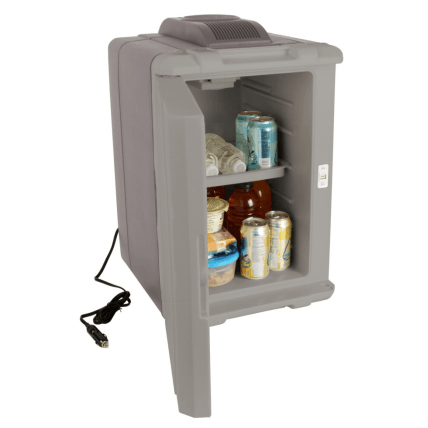 That said, if you place frozen snacks or drinks in this cooler they will stay frozen for 1-2 days depending a bit on the temperature of the surrounding environment. If you want the ability to freeze your food on the go, then buy a portable refrigerator/freezer with a compressor-based cooler. No, the Coleman PowerChill does not warm food or drinks. 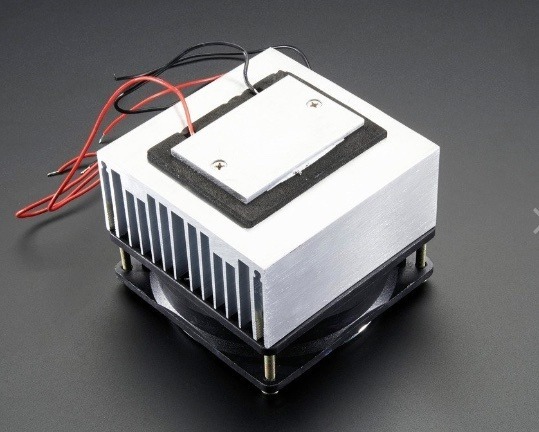 Some thermoelectric coolers have both cooling and warming functions, but this one only cools. The Coleman PowerChill is technically a thermoelectric cooler. It uses a very simple and lightweight low-voltage heat exchange system to cool your drinks. This 12V cooling system is what makes thermoelectric coolers like this Coleman so light and compact. There are no compressors, no motors and no ice that take up space and weigh down the cooler. That said, the Coleman PowerChill has several disadvantages compared with a more expensive compressor-driven cooler. For one, its cooling capacity depends on the surrounding temperature. It will struggle to cool your snacks down to 50 degrees if it’s 100 degrees outside. Best tip in that situation: leave this cooler in the shade. Thermoelectric coolers like the PowerChill also don’t cool down as quickly as a compressor-based mini fridge or freezer can. That’s why you should only place pre-chilled or pre-frozen drinks and food into this cooler. It is better at keeping stuff cold rather than cooling down something warm. The PowerChill can only get as cold as the environment it is in. The colder it is outside, the cooler it becomes. If you are in a very hot place, it will not cool as effectively. So while a portable fridge/freezer will have a precise minimum and maximum temperature a thermoelectric cooler cooling capacity changes with the environment. The best way to gauge the power of a thermoelectric cooler is its cooling capacity, which is how far below the ambient/surrounding temperature the cooler can maintain the temperature of your drinks and food. The Coleman PowerChill has a cooling capacity of 40 degrees F.
In other words, it can maintain the temperature of whatever you place inside it to 40 F below the surrounding temperature. So, if the inside of your car is 73 F, your drinks can be a chilly 33 F.
But if you picnic where the temperature reaches 100 F, the cooler will only go as low as 60 F.
Note that you cannot control this temperature difference for the PowerChill cooler. It will fluctuate on its own based on where you are. The PowerChill is one of the largest-capacity portable 12V coolers you can lift by hand. It has a capacity of 40 quarts (37 liters or 1.3 cu. ft.) which translates to about 44 x 12 oz cans. That’s plenty of space to carry just about anything a small family could need for a few days. To keep everything organized, the Coleman PowerChill also includes a dividing shelf that helps you make full use of the available space. Despite its large capacity, the Coleman PowerChill is really quite portable thanks to its lightweight design and handles. If it's completely full of tightly packed cans, however, you may need an extra pair of hands to carry it. If this Coleman is placed in the vertical position, you can place it on top of a rear seat. 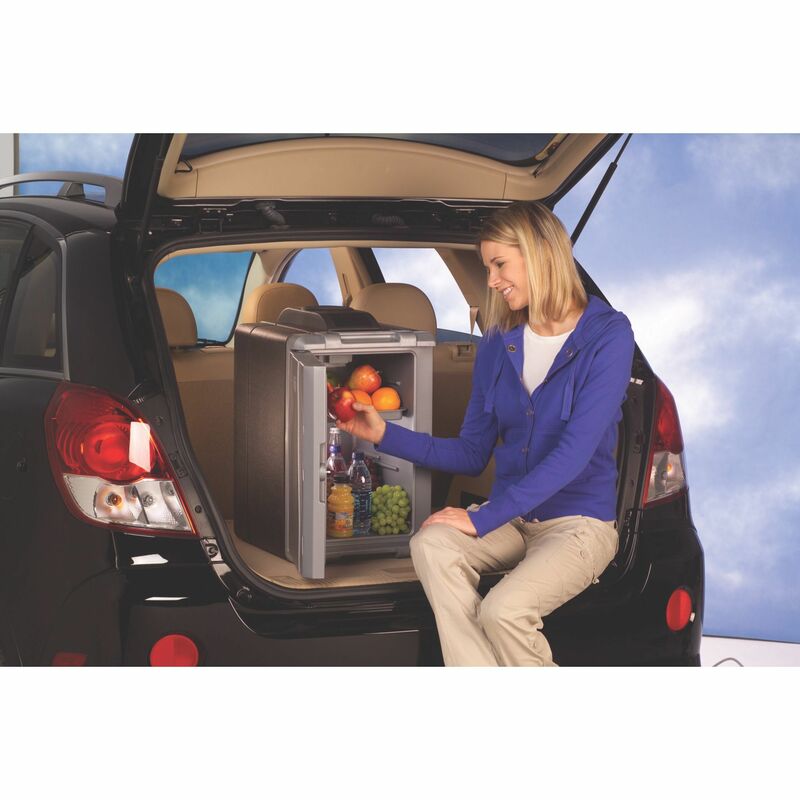 If you position the PowerChill horizontally, it will probably fit on the floor of a larger car or truck in the rear. If every seat is taken, you can always stow it in the trunk. 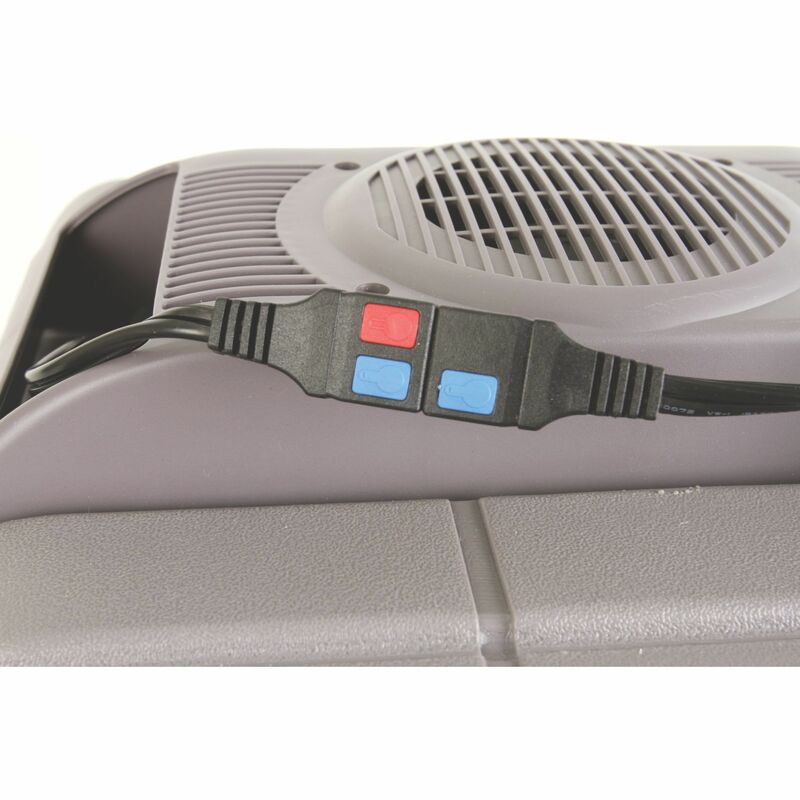 This is a 12V thermoelectric cooler, meaning you need to plug it into your car’s 12V cigarette lighter outlet or the DC outlet of a generator to keep it cool. If you want to power the PowerChill using an AC outlet, then you’ll have to buy a separate AC converter. This cooler also cannot be charged via USB, and it does not have a battery option. That said, the cooler is well-insulated and will keep your drinks and food cool for at least a day without plugging it in. Just don't open it too frequently. You are looking for an extra-large portable cooler for your family. 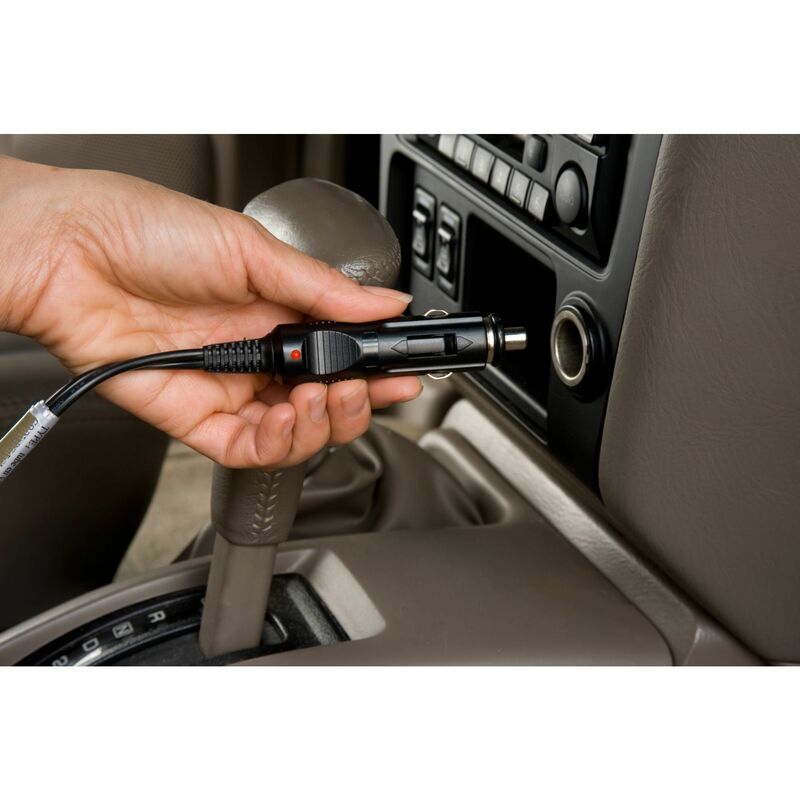 You will be near a car, truck or RV every other day or so; you need a ready supply of 12 volt power to keep this one cool.